Do you own a house and are thinking about selling? Selling the traditional way (through an agent) will give you access to some buyers. However, if you’re asking, “how do I sell my house owner financing in Charleston SC” then you’re making a smart move that will give you access to many more buyers! Keep reading to find out about owner financing in South Carolina. If you want to increase the likelihood that you’ll sell your house in South Carolina, and expand the range of possible buyers who can buy, here’s a little-known strategy you might not be aware of: sell your house with owner financing. It opens up the number of buyers because now you’ll be able to find buyers who might not normally be able to get bank financing in the Charleston or Mount Pleasant aea. It gives you cash flow, since the buyer will need to pay regular payments to you (just as they would need to pay regular mortgage payments to the bank). Wondering, “how do I sell my house owner financing in Charleston SC”? Start by deciding how much you’d like to get each month for your house. 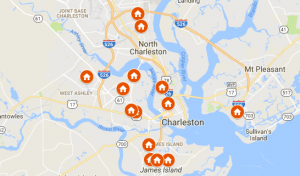 Home values can vary depending on what part of Charleston you are in and the condition of your house. Living in Mount Pleasant? Or North Charleston? Or What about Hanahan? Consider what people are selling their houses for in other parts of South Carolina, too. And here’s an even faster way to sell your house owner financing in Charleston SC – you can sell your house to us. We sometimes work out owner financing deals with sellers like you. Just click this link now and fill out the form or call us today at 843-800-2741.